The elevated Spanish style of the lounge gives way to the intimate warmth of southern Funen on the upper floor. In this room, a complimentary Nespresso machine is available. Guests can enjoy a delicious cup of Ristretto, Espresso or Lungo. We thank you for your request and will reply as soon as possible. - Greetings from Falsled Kro. 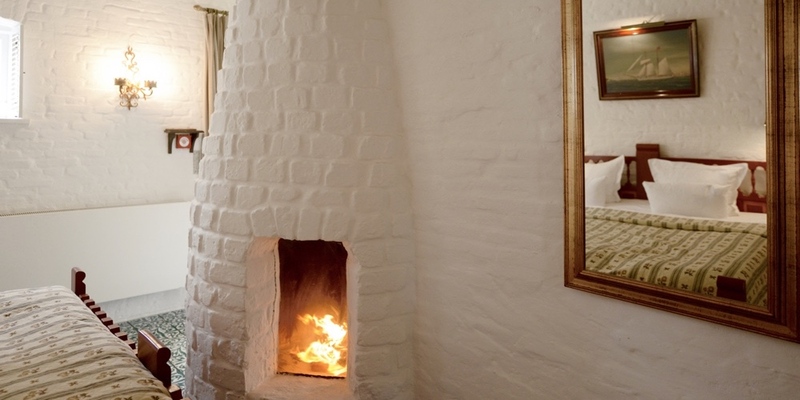 The classic atmosphere of Falsled Kro with fire in the hearth and unrestricted access to a private enclosed garden.